The 2019 Dodge Challenger from Banks Crossing Chrysler Dodge Jeep Ram in Commerce, GA, serving Athens, Jefferson, and Toccoa, is the classic performance muscle car you dream about. This stunning vehicle packs a real punch when it comes to power. The standard 3.6L Pentastar® V6 engine with 305 horsepower gets the job more than done, but upgrade to the available 5.7L HEMI® V8 engine with up to 375 horsepower or 6.2L HEMI® SRT Hellcat V8 engine with up to 707 horsepower to see and feel the ultimate muscle. Pair your engine with the optional active exhaust system for unmistakable muscle sound and one of the available athletic hood options based on your trim level to get your ideal powerful look. But when you roar past the crowds, they'll only see your classic full-width rear LED split-taillamps with gloss black surround and the dust you leave behind. You expect high quality tech with your new 2019 Dodge Challenger, and that's what you get. Apple CarPlayTM and Android AutoTM smartphone integration come standard so you can listen to any music you want. The Bluetooth® hands-free phone system allows you to make calls easily while keeping your hands on the wheel and eyes on the road. A Parkview® rear back up camera helps prevent damage while in reverse. Our 2019 vehicle inventory is here and we have amazing deals you have to see to believe. Take your test drive today by visiting Banks Crossing Chrysler Dodge Jeep Ram at 2377 Homer Rd, Commerce, GA 30529. 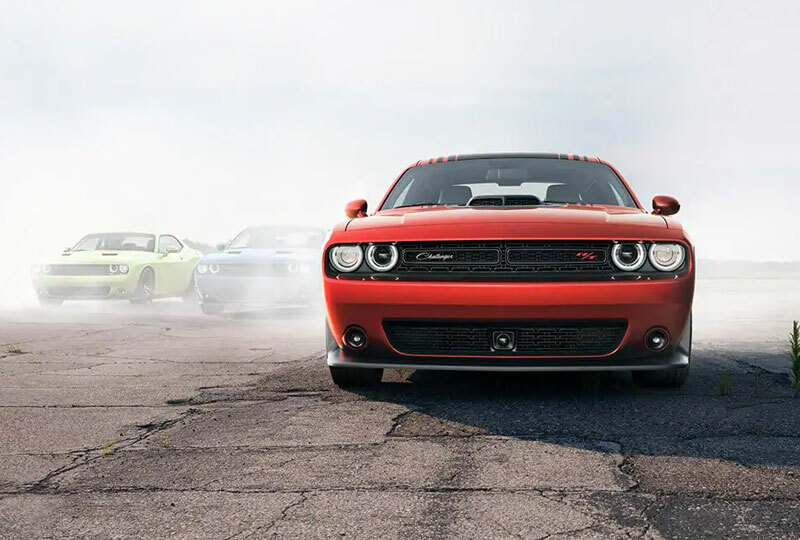 Don't miss out on owning the new 2019 Dodge Challenger you've always wanted! 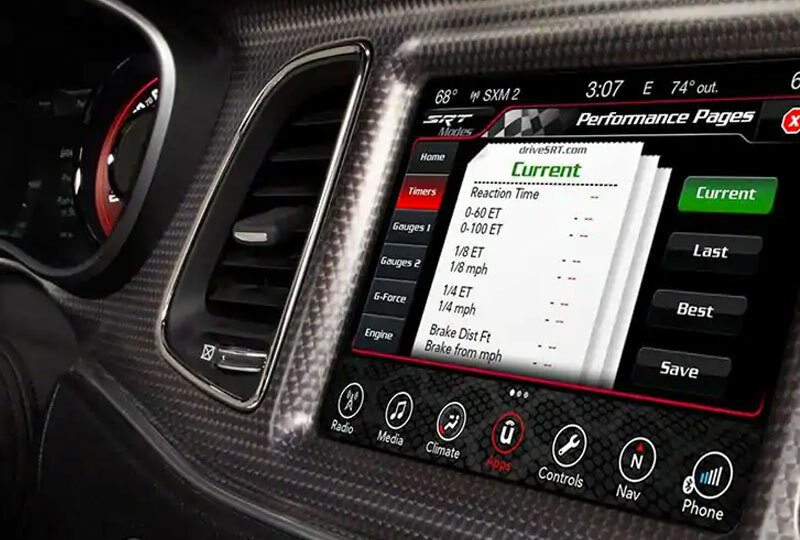 Dodge has innovated its muscle over the years to get our vehicles working harder and smarter. An available active exhaust system delivers an unmistakable and aggressive muscle car sound with a V8 engine. Available Three-Mode Electronic Stability Control1 includes full-off mode for the performance enthusiast. 1. Always drive carefully, consistent with conditions. Always wear your seat belt and obey traffic laws.